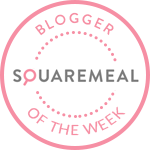 Emily's Recipes and Reviews | UK Food Blog | Leicestershire : battenberg macarons. What happens when you've already made Bakewell tart macarons? You try out baking Battenberg ones, of course. I just can't get enough of the deliciously almondy taste you find in such recipes. The recipe is made with French meringue, coloured the signature dessert colour and filled with almond infused buttercream. And so in all their pink and yellow glory, I present to you... Battenberg macarons. In case you haven't already seen it, a few months ago I created an illustrated guide for making macarons. So for tips, tricks and the basic recipe - just follow it step by step. The only difference is you divide the mixture by two and dye it pink and yellow separately. For the buttercream, you simply add in the almond essence and pink colouring to the buttercream. Pipe as usual and twist together to make a full Battenberg macaron! Yum! Are you a fan of Battenbergs? Have you ever tried and unusual flavour macaron recipe? What a great idea. You make it look so easy I might give it a try. What a delicious way to make macaroons. I haven't had macaroons since I was last in Paris, but maybe I need to make my own. These are so cute Emily. I love almonds so much as well! I could eat marzipan by the block and amaretto is one of my favourite alcohols! Well done Emily, perfect looking macarons.